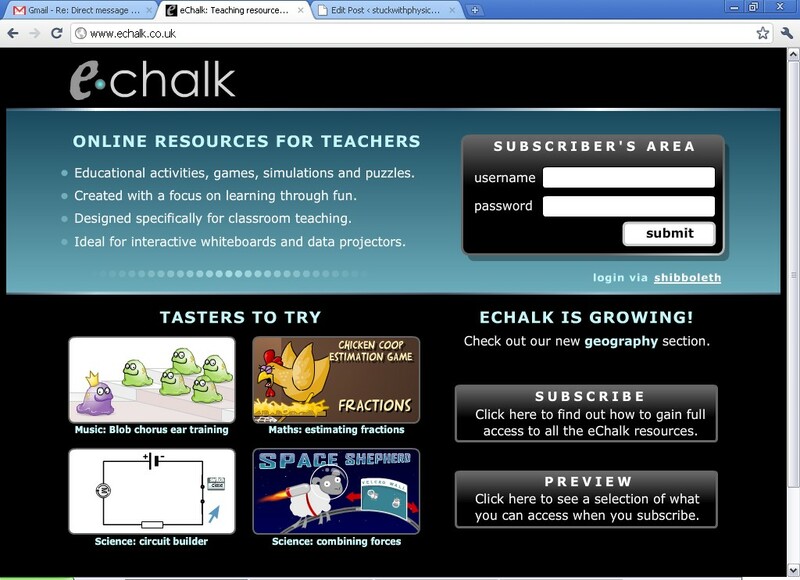 My school subscribes to an online resources site that covers most curricular areas - eChalk. 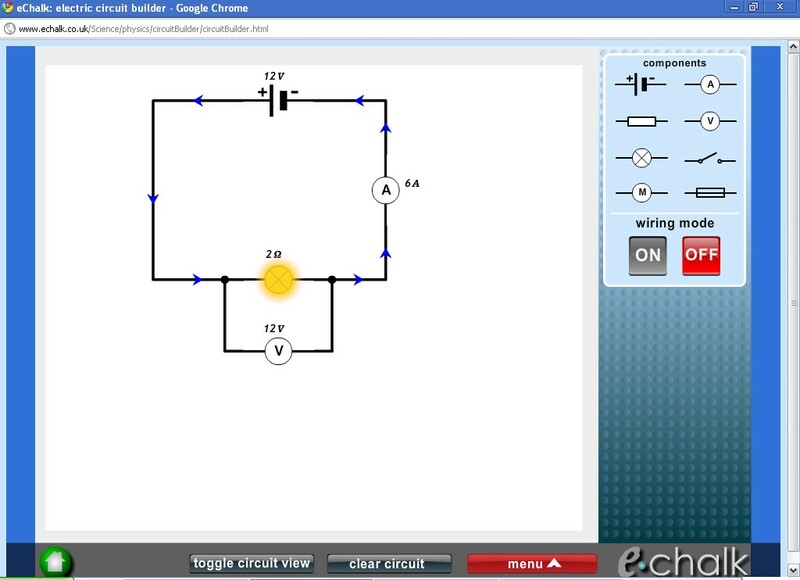 I've been using one of its features, the 'Electric Circuit Builder' both on my IWB and with pupils on our department netbooks, to help them familiarise themselves with both drawing and (virtually) building circuits. This tool is also available to non-subscribers as a 'Taster to Try' from their home page, making it an ideal tool for anybody to use for building simple circuits. My pupils seemed to pick it up pretty quickly and had loads of fun setting the lamps alight by using too big a voltage. It's also proved useful in reinforcing how to wire up real circuits, using real components, something many pupils seem to struggle with.